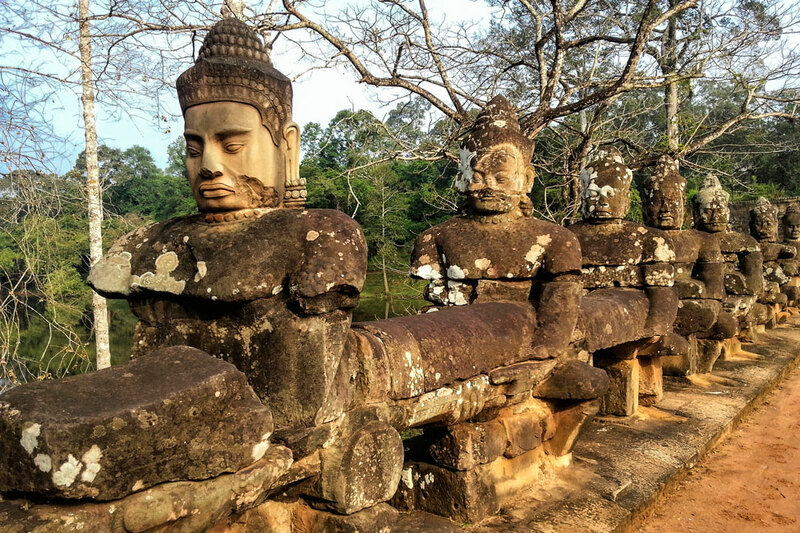 I didn’t expect to think much of Angkor, really. Piles of old rocks on top of piles of older rocks, complete with a complicated history that is impossible to digest in the one brief day we had to explore. But then we went. And even after the 4am wake-up call (which resulted in a slightly disappointing sunrise photo shoot), the stifling heat, and the constant harassing of vendors, we couldn’t get enough. 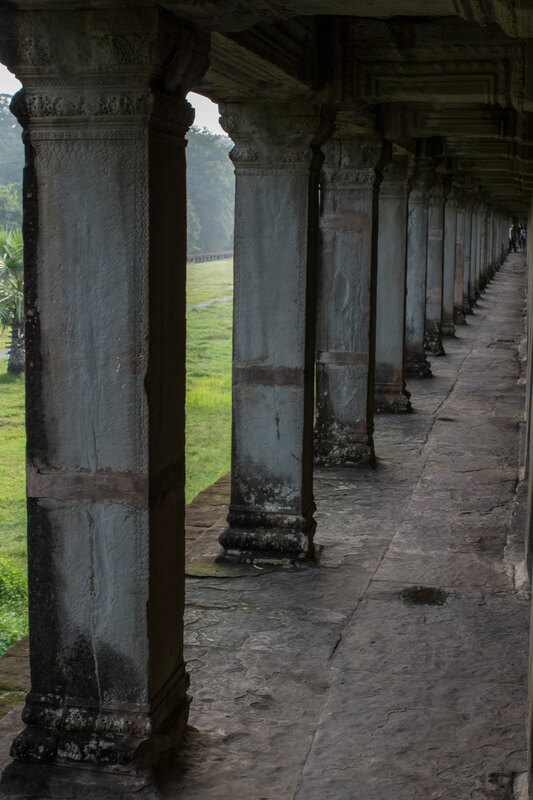 We stuffed as many temples into our day as our weary bodies would allow, fascinated by the variety of architecture, the preservation of details, and the stories behind each one. We really wished we had another day, maybe two. 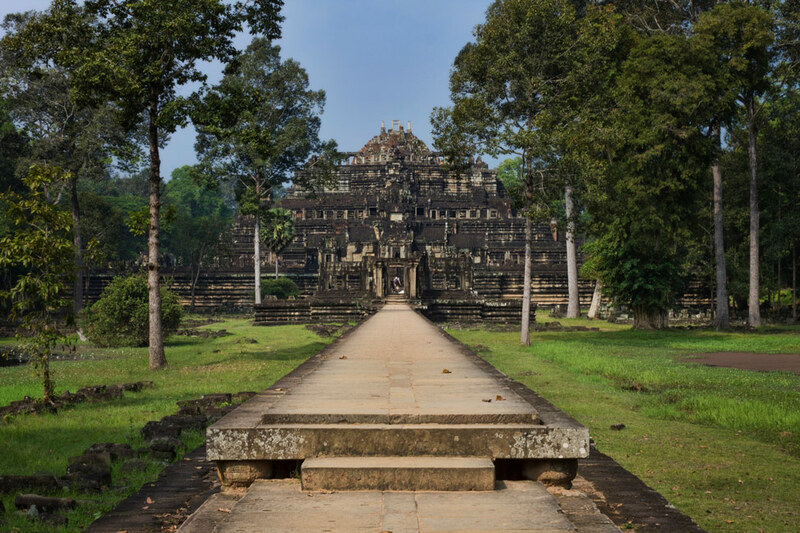 But with over 1,000 temples covering such a vast area (the ancient preindustrial city of Angkor had a connected urban sprawl of over 1,000 square kms), even that would not have been close to enough time. 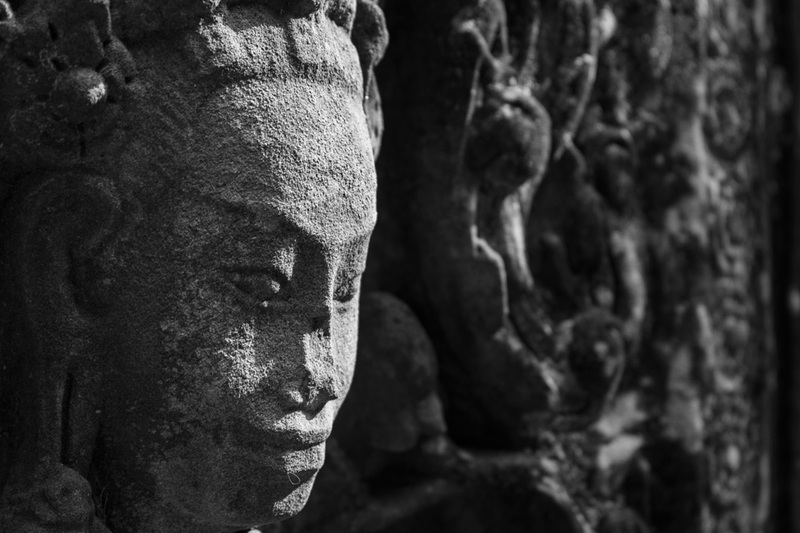 We did the best we could and are here to share the results of our single and highly memorable day in Angkor. Awe-inspiring to see at daybreak (assuming the sun will cooperate), Angkor Wat is the best preserved temple and dates back to the 12th century. 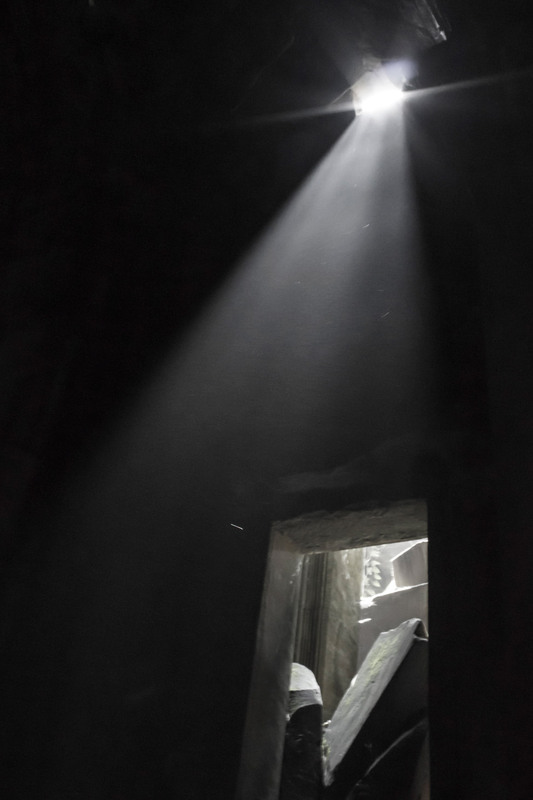 Despite the throngs of tourists that were waiting to snap photos with us as the sun rose, we were still able to steal quiet moments in empty corners to absorb the significance of this historic site. It is well worth considerable time to walk through the temple and grounds after getting the initial postcard shot. 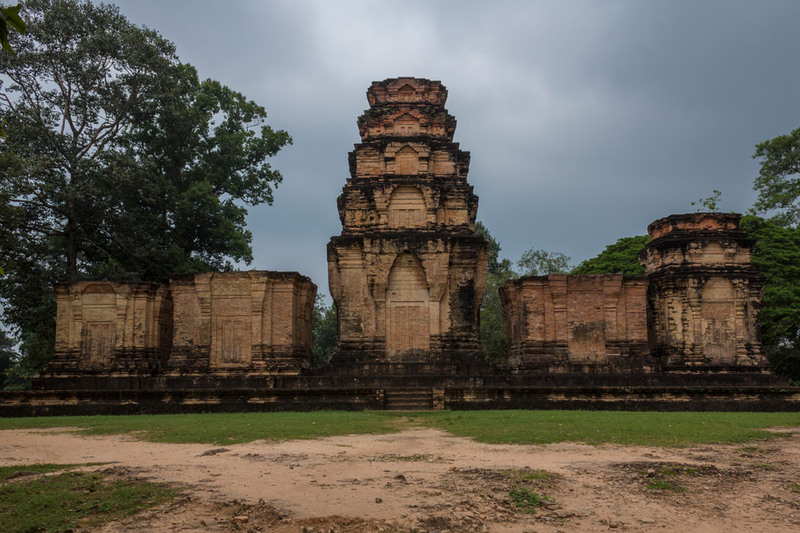 This temple was originally home to more than 12,500 people in the 12th century, with an additional 800,000 living and working nearby. A small, barely visited yet unique temple with five towers, Kravan is exceptionally striking with its symmetrical red brick. 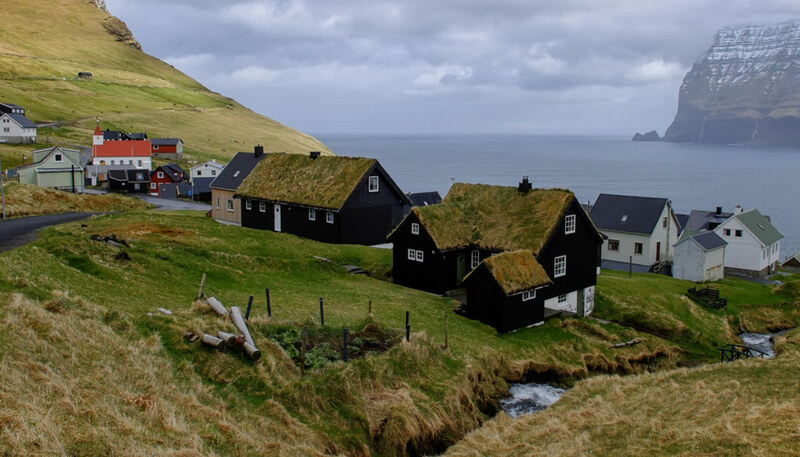 Only uncovered in the 60s and partially restored since, it carries a much more modern appearance than others, even though it dates back to the 10th century. No kidding this time, Beng Mealea was DEFINITELY our favourite. 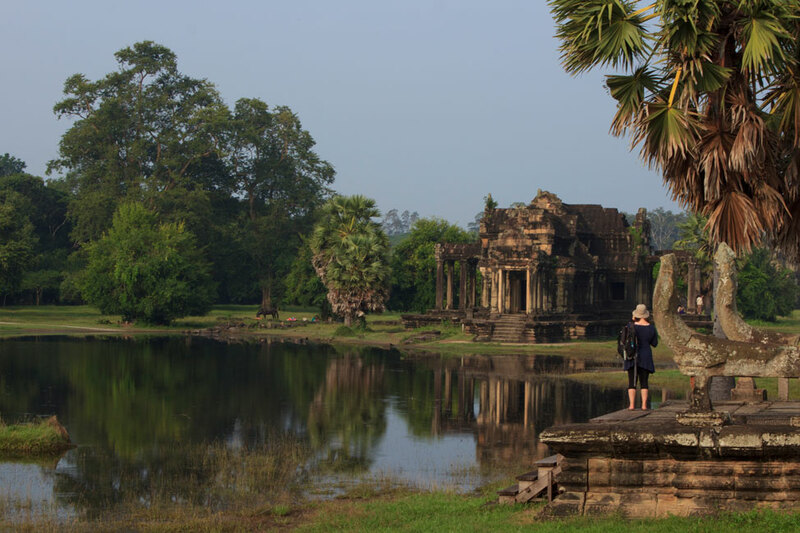 Located almost 40kms away from the other Angkor temples, it was a stop we made the following day on our return to Phnom Penh. 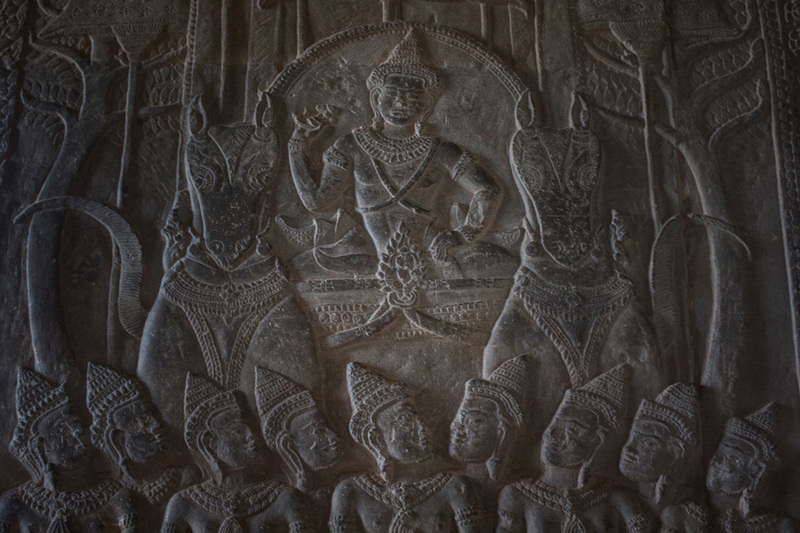 This sandstone temple is barely visited and hardly preserved. 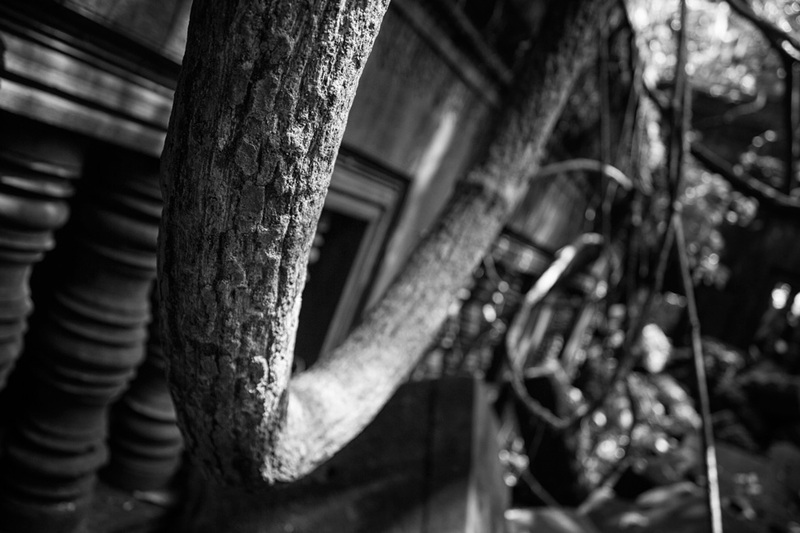 The result is a ghostly mixture of rubble, moss, and sprouting trees tangling those structures that do remain. 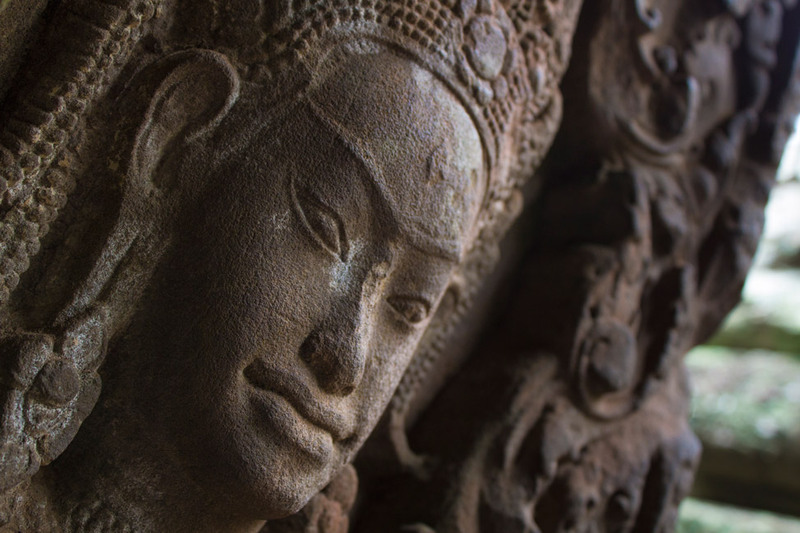 High-end One guest described the Borei Angkor Resort & Spa as an “oasis of calm in a bustling town.” Sounds great to us. Mid-range Walk off a busy street into the welcoming, calm foyer of the Golden Temple Hotel and enjoy the complimentary welcome drinks and snacks! Definitely a great deal for such a lovely hotel. Budget The Tanei Boutique Villa in Siem Reap is a great value for money, and comes with incredibly helpful staff and a pool! Gorgeous photos, as ever. 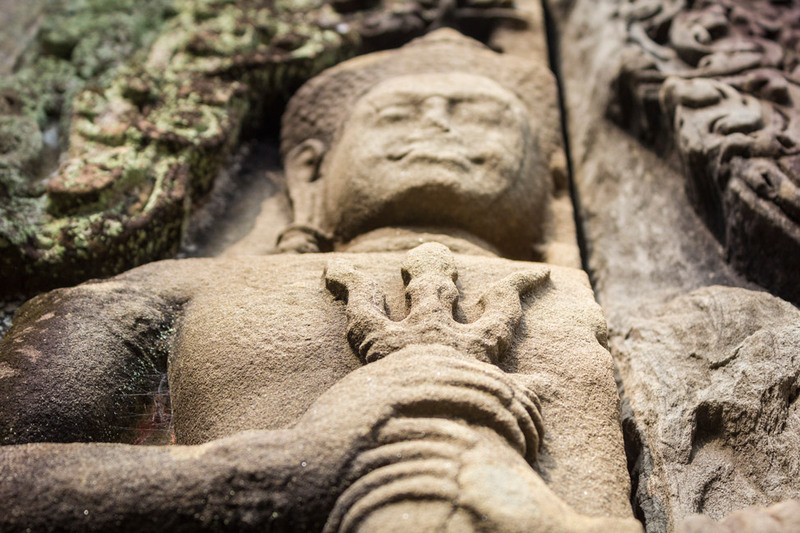 The more distant temples are certainly a more immersive experience, but the Bayon and Ta Prohm are still magnificent – crowds notwithstanding. 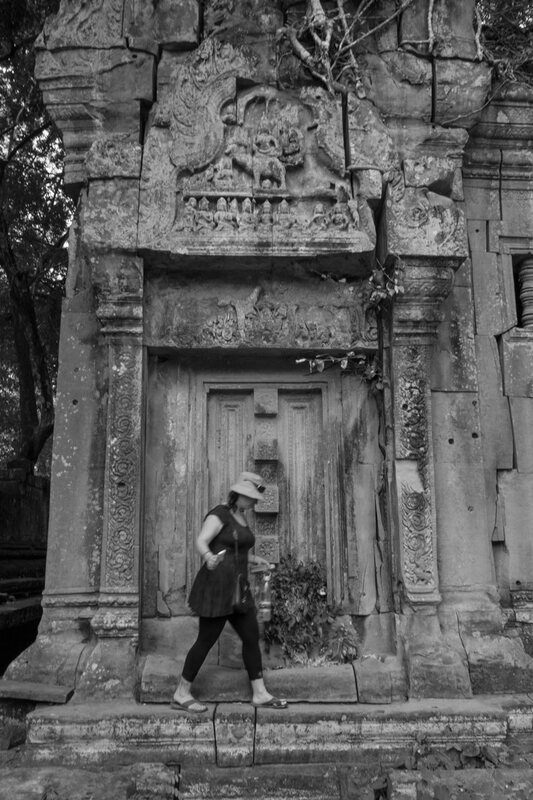 Following your wonderful travels through the temples of Angkor and retracing our own steps back in 2009 has made me suddenly realize I hardly recall noticing people anywhere. 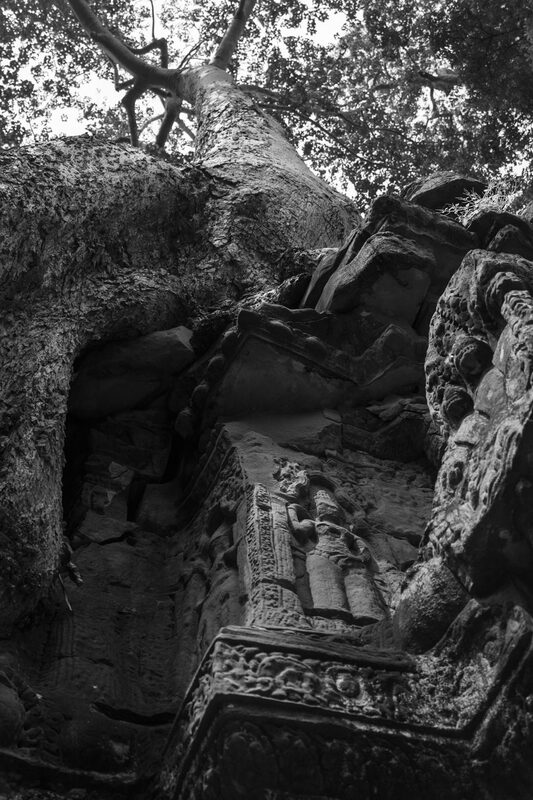 I’ve gone and checked our (miserable) photos, and I definitely see some folks in Pre Rup and Angkor Wat, but I remember them being empty… In my memory, Ta Prohm was just like Beng Mealea – wild, deserted, mysterious. Since I wasn’t on chemical drugs, the only conclusion I can draw is that I was on an historical high for 3 days straight… Thank you for yet another beautiful post and safe travels! A ‘historical high’! Awesome. 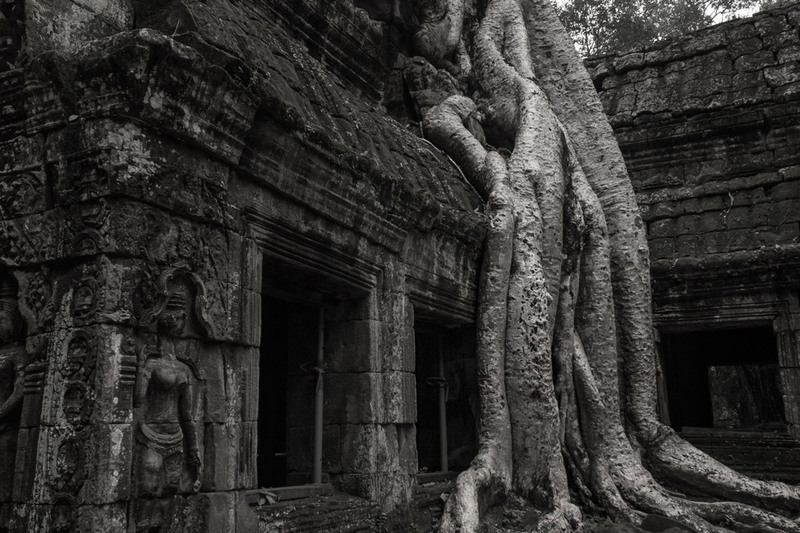 I wish I could say the same about Ta Prohm, but it was CRAWLING with people. Gorrrrgeous photos, guys! I think it’s decided – I can’t skip this when I’m in SE Asia in a couple of months!! 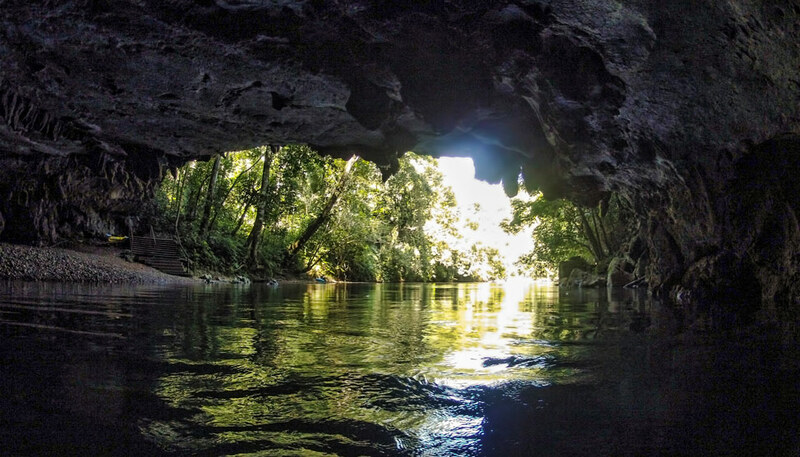 oh wow, magnificent place… thanks for sharing the photos, they really transmit the special atmosphere.. Thanks Ivana. 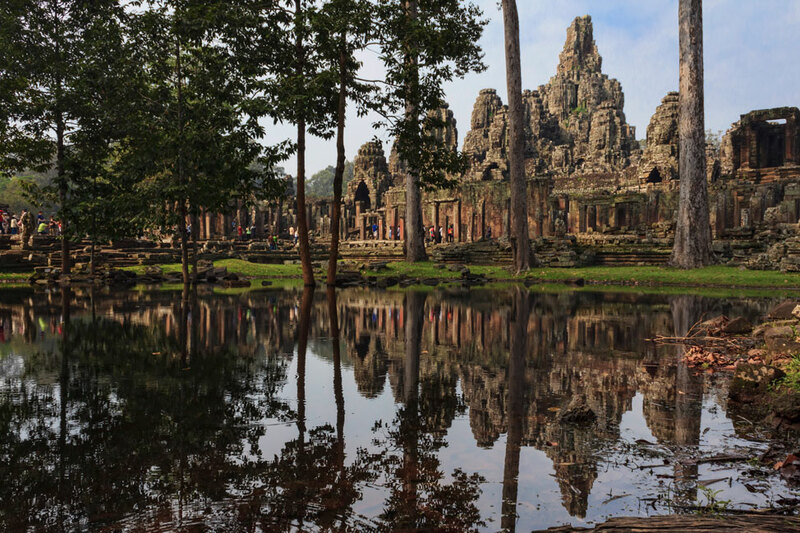 Angkor really is a special place, hope you guys get there! 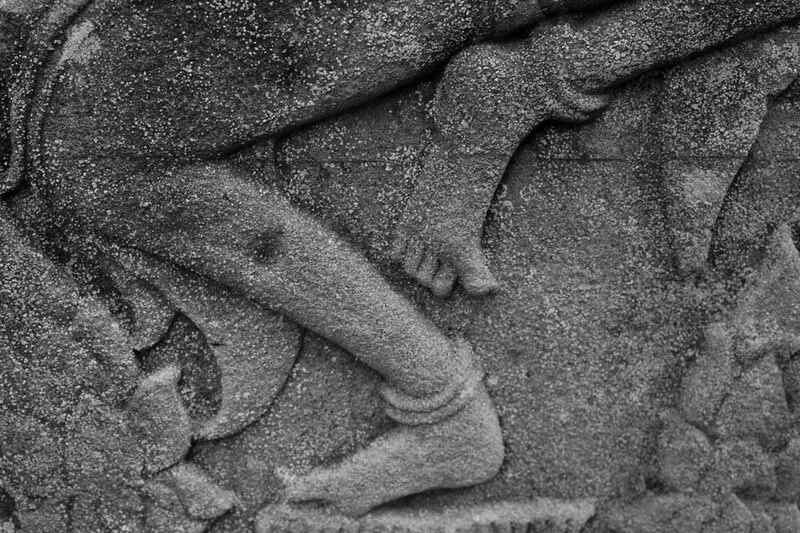 I visited Prambanan and Borobudur in Indonesia and, especially at Prambanan, was overwhelmed by the beauty and detail. 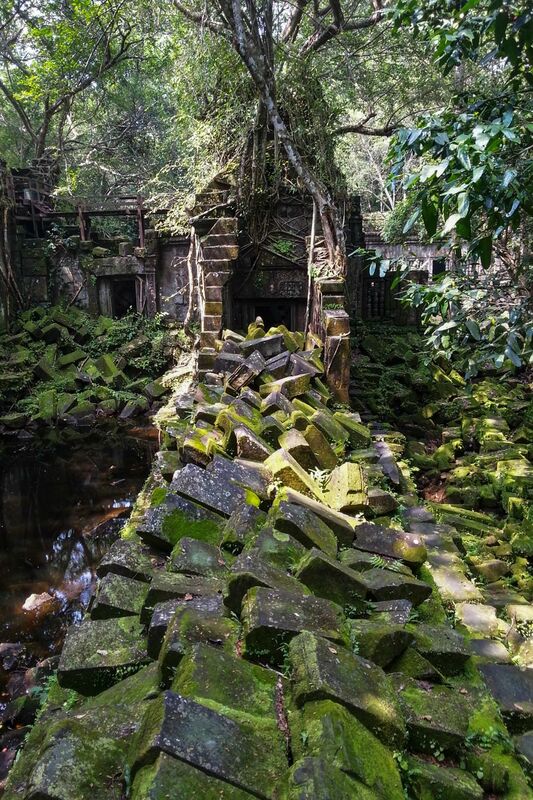 It was also so interesting to think about how they had been abandoned for so many years and the jungle had overtaken them (which was much less obvious since trees don’t grow over them). These places seem like all that times about 100. It’s also crazy to even think that there are still so many in the jungles yet to be discovered! Consider it shared! Can’t wait to go. The clarity in your photos is amazing. Gorgeous photos! 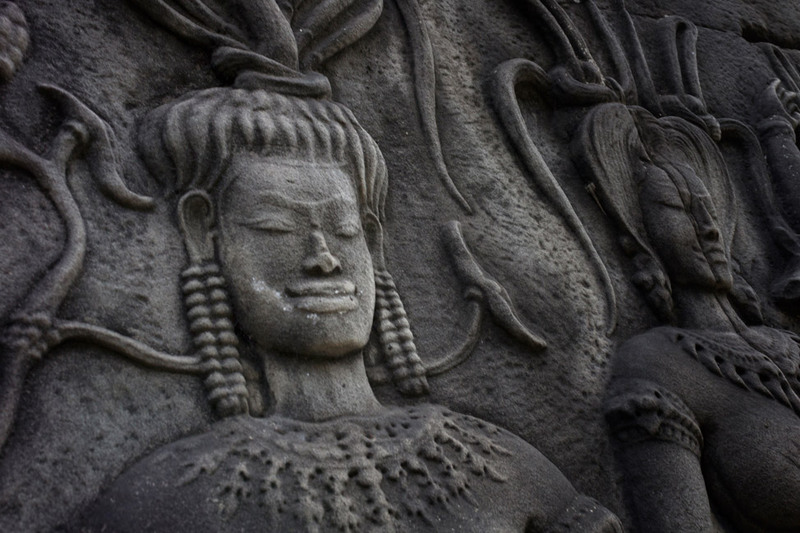 Angkor Wat has been on my list of places to visit, especially after I took a class on Cambodian history in college. It’s such an interesting place with a long history. I love seeing places when they have such a rich history behind it. 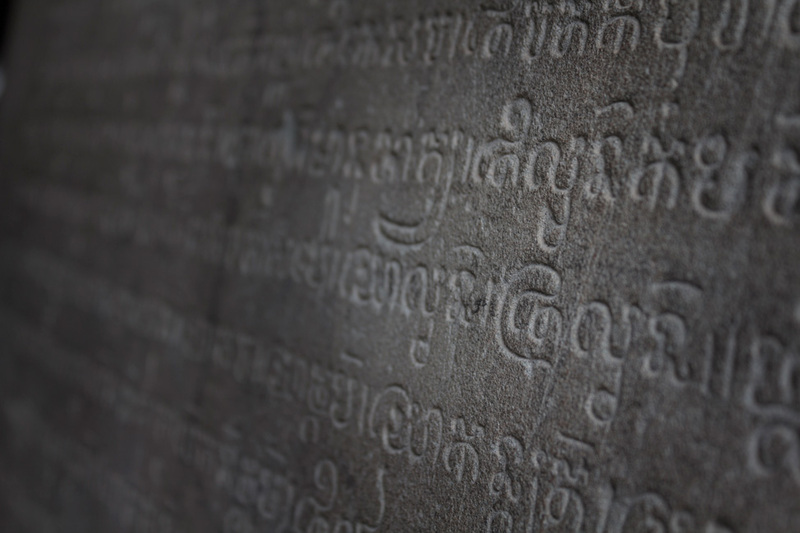 Cambodia’s history is so rich and complex. And sad, too. 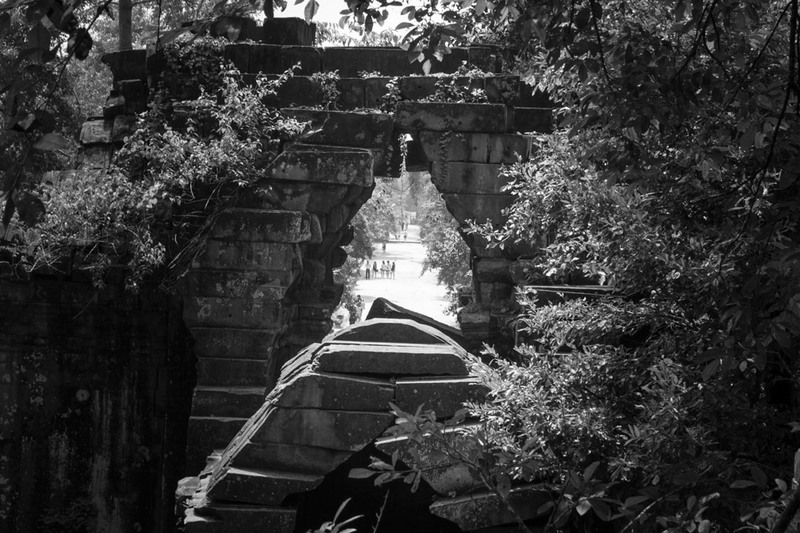 I hope you get to Angkor. 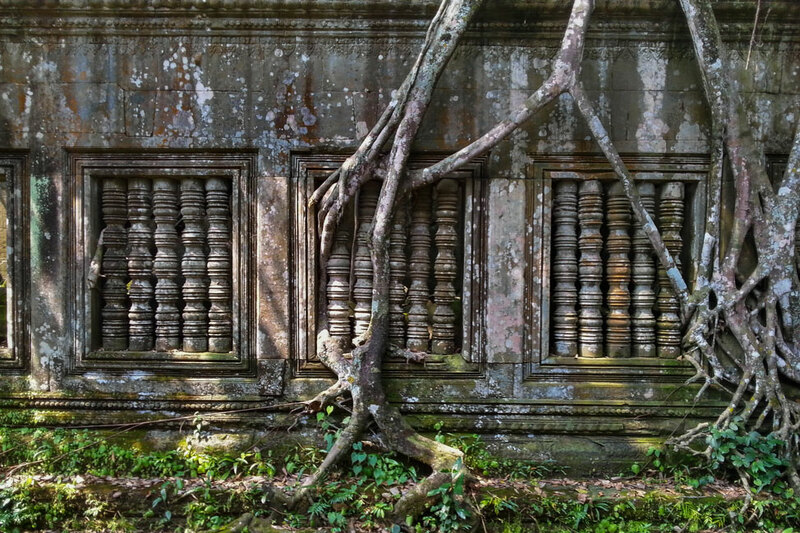 Beng Mealea was my favorite too! On the day of our visit, we had the place practically to ourselves and it was exhilarating to literally crawl through the ruins. 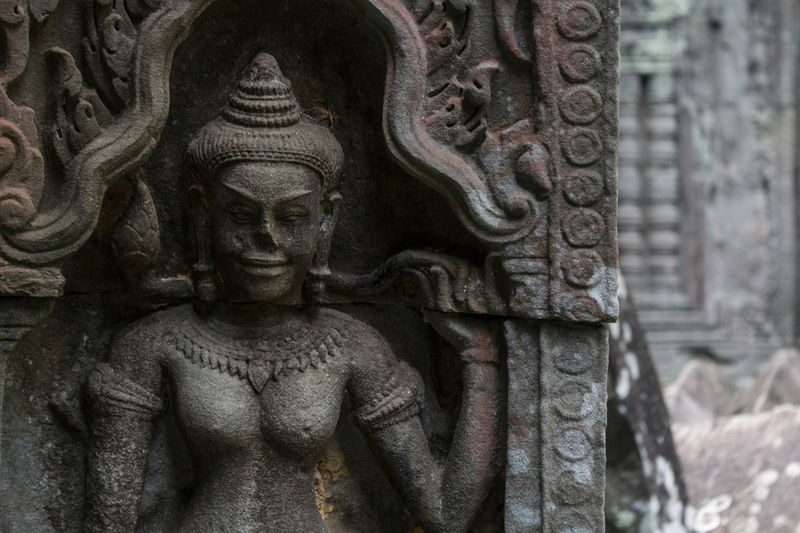 We spent three days exploring all the temples which made our time there a bit more relaxing. Never made it out for the sunrise, though, and after your experience I’m glad we opted for more sleep instead! I would still say that the early morning rise was worth it – such a great introduction to the temples! I wish we had had three days though! Ha ha! Tony & I had a similar experience to your own in that every temple we visited became our de facto favorite. 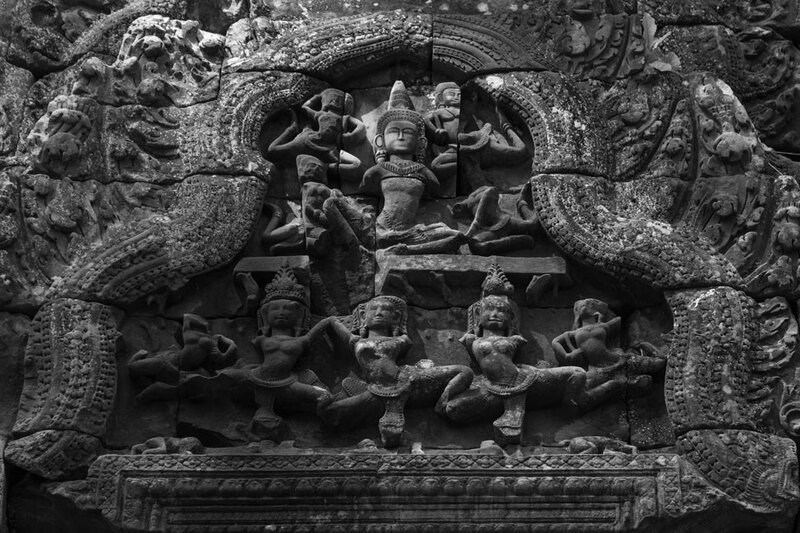 In the end, I think the actual Angkor Wat was my least favorite, and my top pick might have been Banteay Samre, which is built in a similar symmetrical style but is way out in the countryside and saw pretty much zero visitors. Although I was pretty excited to visit the complex, I was still a bit worried that I might experience the dreaded temple fatigue at some point. In the end, I couldn’t get enough and I was really glad we had the time for a 3-day pass which felt just right to us. 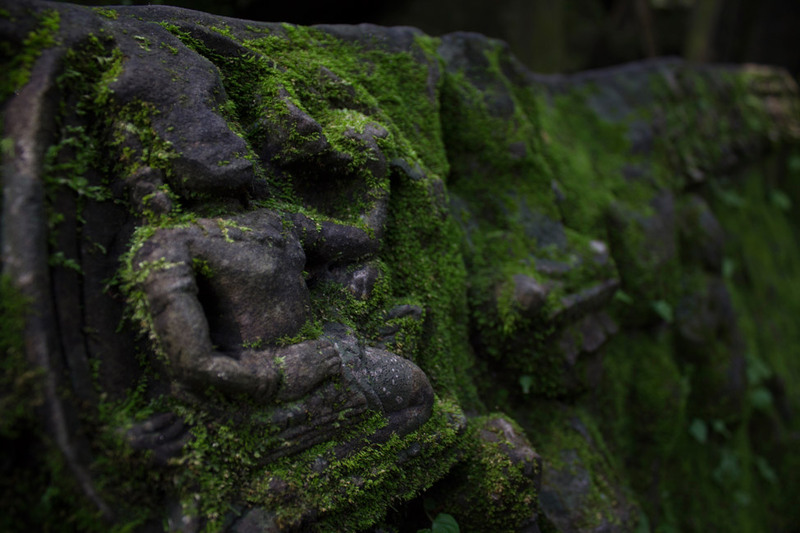 It gave us the freedom to really take our time and make an effort to get out to some of the temples that most overlook. 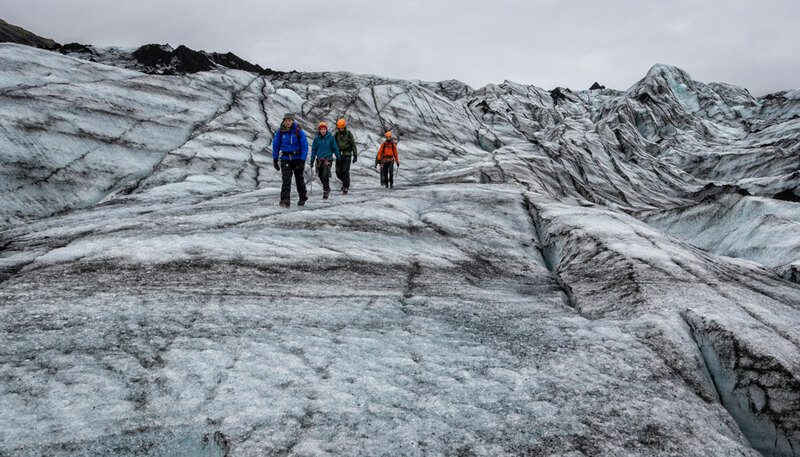 Definitely one of those attractions that lives up to (and perhaps even exceeds!) the hype! I think you’re right – it exceeds the hype. The three day pass would definitely have been worth it! Your photos are so beautiful guys! 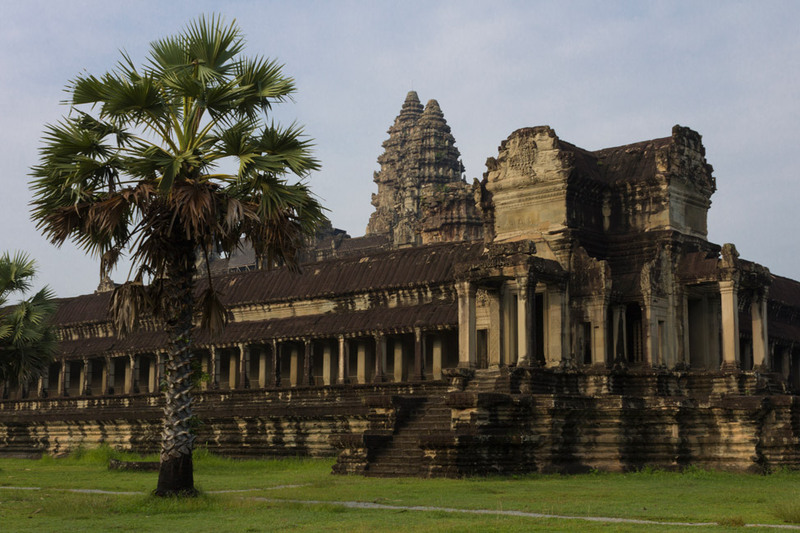 I have been to the Angkor Wat complex twice, because I loved it so much during my first visit. It is definitely not one of those sights that is overrated! 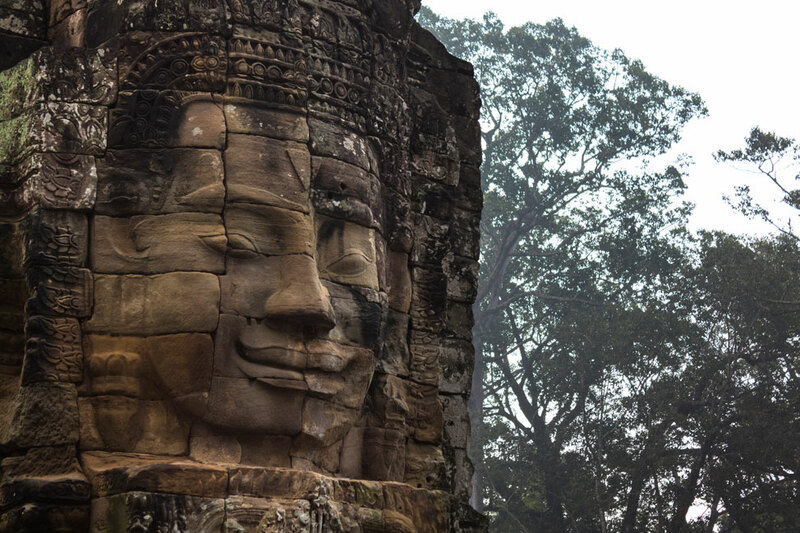 I have probably seen almost 100 travel blog posts on Angkor, and I will be happy to see 100 more. The place is magical, and you summed up the experience quite well. Thanks so much Ted! I never read many before visiting (I don’t like to set expectations), but now I think I will devour any blog post I can find. Such a special place. 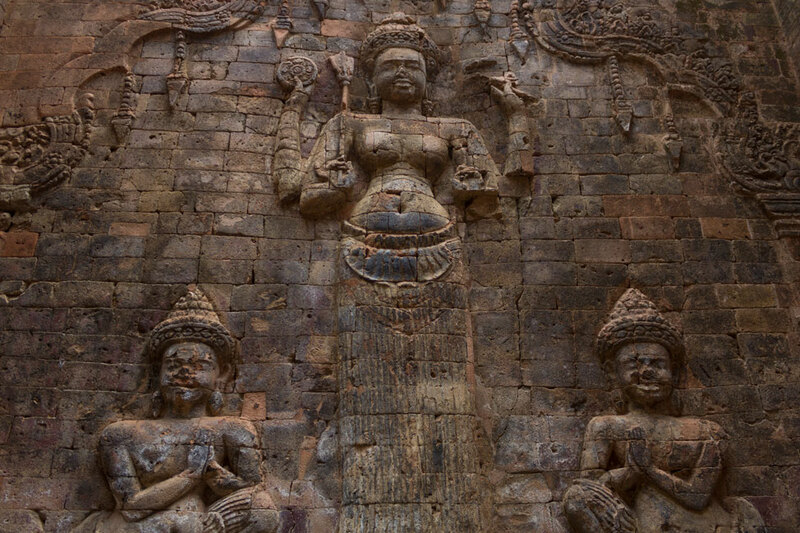 Gahh, I can’t wait to finally visit Angkor in April! Too beautiful. 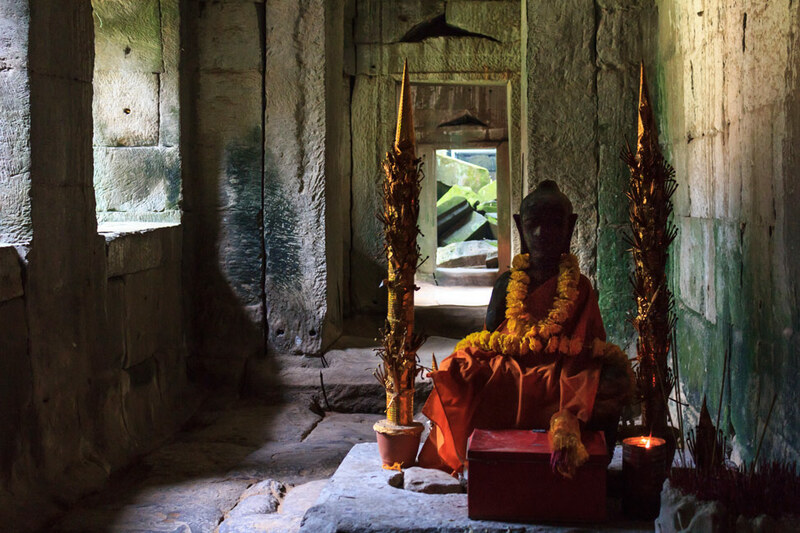 Wow, very lovely shots guys – some of the best I’ve seen from Angkor in a long, long time. You captured some different angles and some great mood with those photos. Makes me want to be there now. Thanks a lot Red! We had a lot of fun with our cameras that day. I love the angles of these photos! 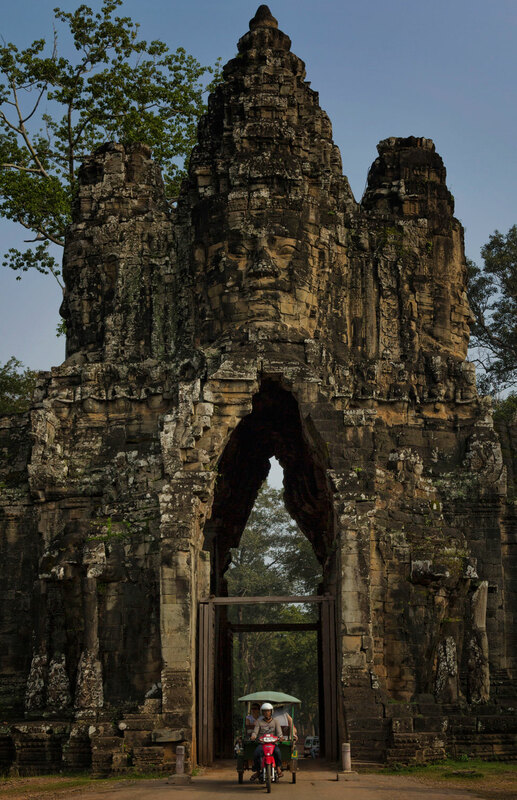 I spent one and a half day around Angkor by bicycle and it was one of my best travel experiences so far. At times I had the entire circuit for myself. 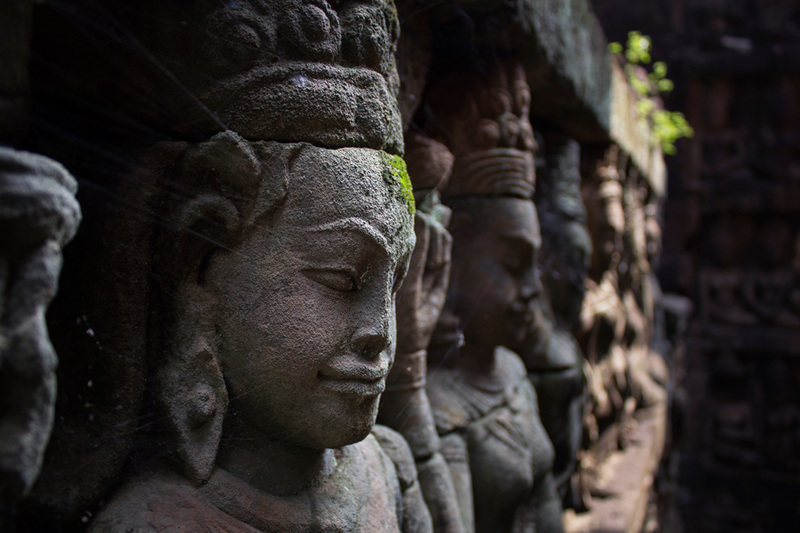 However doing so made me unable to reach farther temples, like Beng Mealea and Banteay Srei, which is on my list of places to visit when I go back to Cambodia one day. Apparently I missed Kravan, maybe I should check that out as well. Nice shots. I really need to get back there! We are heading here in about 5 weeks. I am taking my 3 children ages 7- 14 with me, what do u suggest we visit? Should we spend 1 entire day there??? Hmmm…I’m not sure Kelly as I don’t know how the kids will react to it! It can be a pretty long and hot day, but you definitely won’t run out of things to see! Stunning photos! Definitely a place that’s on my bucket list. So much history to take in! 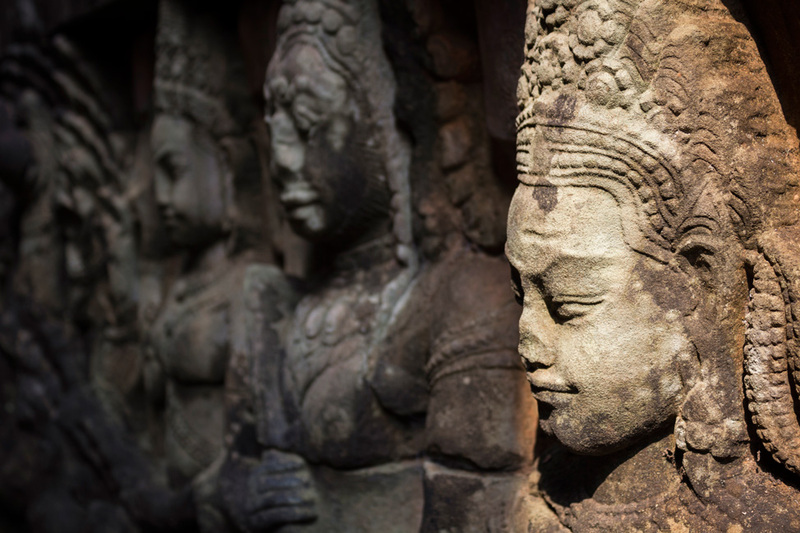 Beautiful photos and great info about visiting Angkor. We visiting not so long ago ourselves and really enjoyed our time. 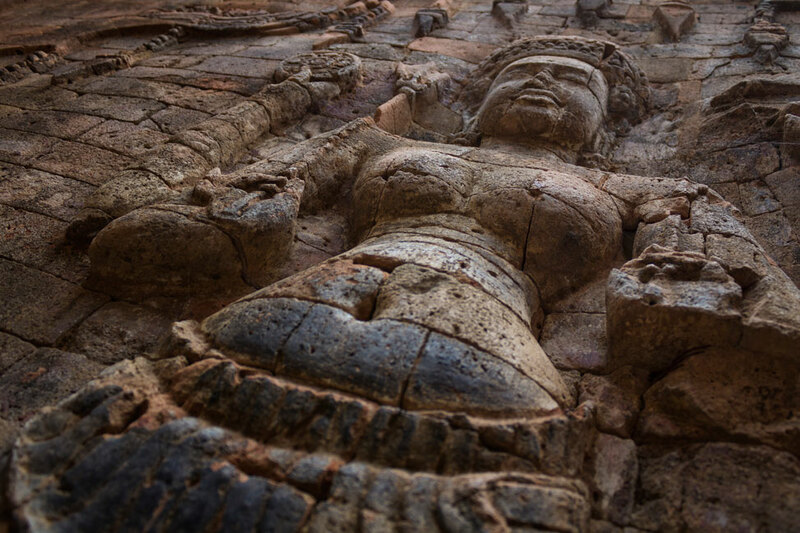 One of our favourite temples was Banteay Kdei, we didn’t have the time to visit Beng Meala but jee your photos have definitely helped it go to teh top of our list for the next time we visit Angkor!